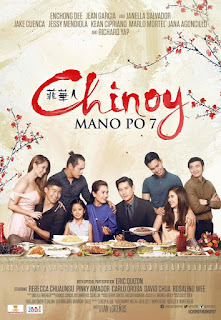 Another melodrama movie from Regal Entertainment, the 7th part of Mano Po franchise, starring Richard Yap, Jean Garcia, Enchong Dee. Shown in the cinemas last December 14, 2016. 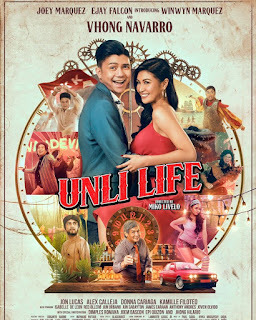 The movie describes a modern Filipino-Chinese family, that despite of wealth and success, the lack of affection and love makes them fall apart. The story focus on Wilson (Richard Yap) the head of the family, strived to attain success up to the point that he prioritizes his work rather than his own family. His wife (Jean Garcia) and children (Enchong Dee and Janella Salvador) seek his attention but failed every time as they try. The absence of love from Wilson urge his wife to cheat and leaving their children heart broken. Since then, Wilson realized that in the end money, glory or fame cannot replace the love, care and joy of a complete family. The movie portrays how to love, forgive and to keep moving forward in life. It makes us appreciate our family and to be contented of what we have. And that family will always comes first. Your hearts will be touch and have teary eyes watching this movie.